Are these images signs that first contact is just around the corner? 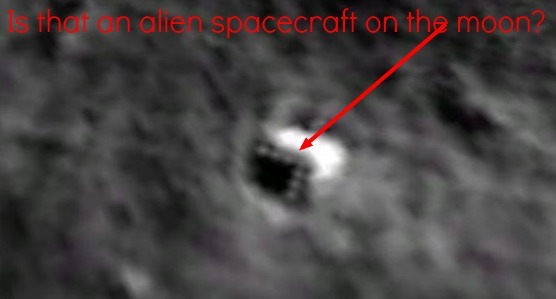 “VISUALLY CONFIRMED: Enormous Craft Detected on the Moon! 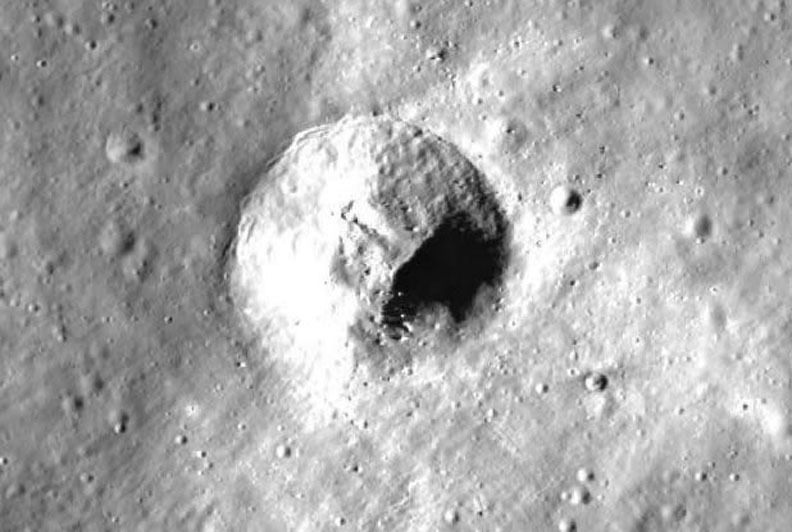 At least one enormous object of unknown origin has been visually verified as having landed on our Moon.” That captivating, not at all sensationalistic, opening was published on the Turner Radio Network (TRN) on January 20, 2014, sparking an understandable amount of excitement among people who have seen the link. According to the TRN article, everyone wants a piece of the Moon pie. First, the United States Department of Defense (DoD) launched three rockets on a “hush-hush” mission to investigate this craft, and the National Aeronautics and Space Administration (NASA) has been tracking the approach of this object for about two years now. Meanwhile, the Lunar Atmosphere and Dust Environment Explorer (LADEE) is a cover mission to study this spaceship (China’s recent Moon mission also plays a role). The TRN article even features Dr. Eric Norton giving his testimony, talking about this monumental event. Clearly, the stage is set and first contact is imminent. Unfortunately, all is not as it seems. According to TRN, the approaching spacecraft (there were two of them) disappeared around the orbit of Mars and one of the objects was later discovered on the Lunar surface. Pictures of the object taken by the Lunar Reconnaissance Orbiter were released to the public (as they usually are) and uploaded to every alien-enthusiast’s favorite tool: GoogleName (in this case, GoogleMoon). As AstroBob so eloquently put it, this is yet another phony spaceship that has landed on the far side of the Moon (this is actually scarily similar to a scenario we invented for Halloween, but I’m sure that’s just a fun coincidence). The spaceships can supposedly be seen at 22°42’38.46″N and 142°34’44.52″E. The “spacecraft” is, more than likely, one of three things, all with a common cause. Depending on the lunar topography, mountainous formations could be inside the crater, and as the Sun was setting/rising on this portion of the lunar surface, the tops of the mountains could have been lit, causing a fantastic sight. Along the same train of thought, it’s possible that the shape is created simply as an artifact of the camera and is just a figment of the satellite’s imagination. On the other hand, various amounts of filtering and zooming could have caused the shape to appear as a result of distorted pixels (a triangle is a relatively simple shape). For the record, most non-human spacecraft, alien artifacts, extraterrestrial cities, or the like are the result of one of these phenomena. In the end, all roads lead back to the same common condition: pareidolia. 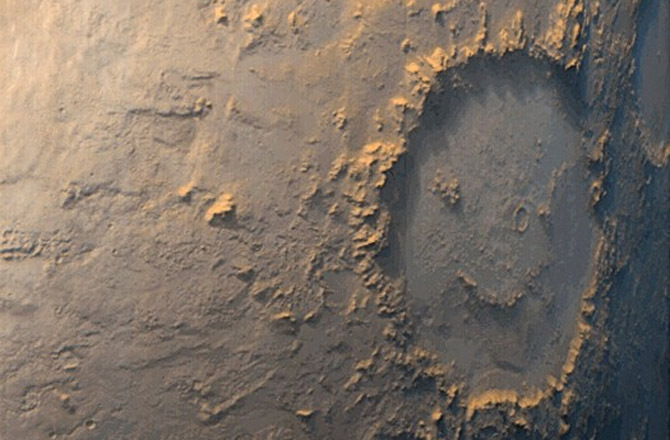 Pareidolia is basically the ability of the human brain to see faces, shapes, animals, or pretty much any meaningful pattern, in random or meaningless data. This is where phenomenon like the face on Mars or the man in the Moon comes in (or, simply sitting back on a summer’s day to see the shapes in the clouds). Specifically, this seems to be a case of a combination of bad pixels and somebody being too happy with the zoom key. It turns out that the triangle shape is actually a group of transparent pixels that were corrupt. Adjusting the contrast/sunlight over the lunar surface changes the background/backdrop of the picture (making it lighter or darker), and that change bleeds through this transparency. If you zoom out, you’ll see the same type of artifact appearing all over the lunar surface. In fact, as a proof of concept, if you put a colored shape behind the image, you’ll see the triangle (and its buddies) change colors. Or maybe we just have an army of purple alien spaceships ready to invade. The other evidence presented also falls short of anything noteworthy. Because Dr. Norton is a fictitious person, readers have no way to verify the credentials of the person behind the pseudonym. Until this source’s identity can be verified and their testimony can be verified, we have no reason to take it seriously. The secret DoD launch isn’t anything unusual — the DoD launches dozens of classified missions every year. 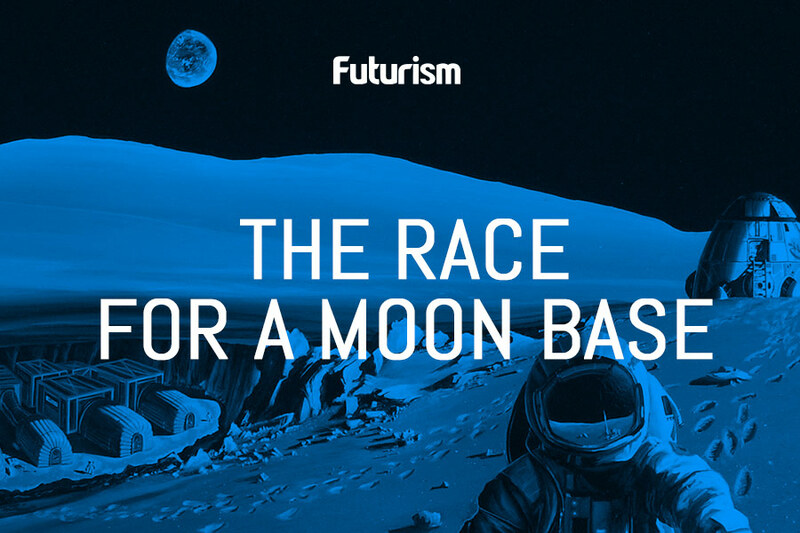 The LRO/LADEE missions were planned and/or launched before the alien spacecraft was “detected.” China has also been planning a Moon mission for some time now and launched it for their own political reasons. As a side note, something that particularly bugged me was TRN’s complete lack of citing outside sources, even for the little easy things. When they cite a “consultant from NASA’s Meteoroid Environment Office,” they don’t link to any data or even any testimony — they link to the MEO homepage. 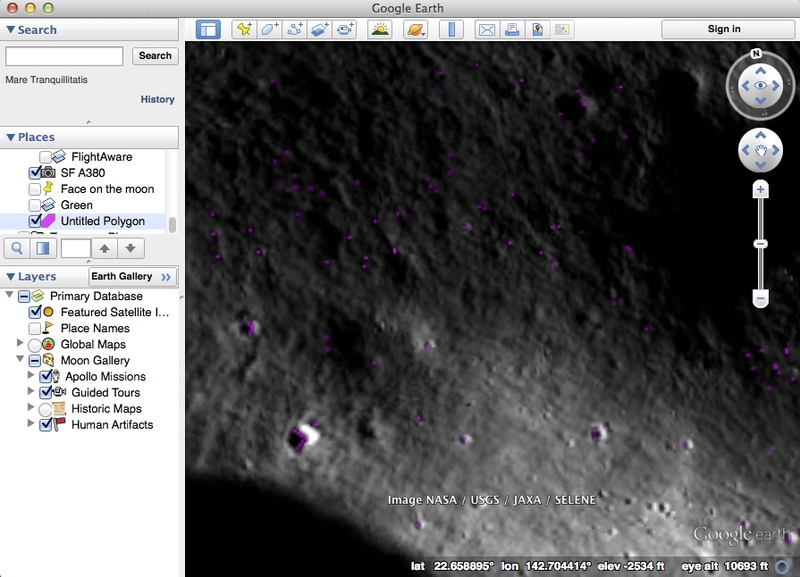 The same for the LRO, LADEE, and a few observatories they named. The “sudden” launch of the three DoD rockets did link to a Space.com article talking about the launch, but the source article didn’t say the launch was sudden, a surprise, or anything other than completely normal. So, when you look at the article, it appears to be well sourced, but the sources themselves don’t say anything. Even if they linked to sources that I considered “untrustworthy,” at least it would be something. If you click on the links we provide in our articles, we usually direct you to as specific of a source as possible, and most other reputable organizations do the same. Finally, in case you were wondering, the above is a recent picture of the landing spot chosen by the alien spacecraft, only it shows the crater fully lit by the Sun. (Can you see the aliens now?) As cool as it might be, it appears as if aliens have not landed on the far side of the Moon. Alas.